Being a fan of fantasy football has grown into a footballing subculture across the past few years, with multiple different games being available, crossing multiple platforms, all of which have their own interesting takes on the tried and tested method. Draft, however, are slightly different. Here's an idea from our American friends across the ocean and put it into practice with our own sport. Welcome to football, Draft style! You may already be familiar with draft fantasy football. In a few words, it’s a game that pools together each real-life player in the Premier League and allows a group of friends (or strangers!) to pick (also known as ‘draft’) a squad to play against each other in a league format for the season to come. Once a player is used, he is gone. 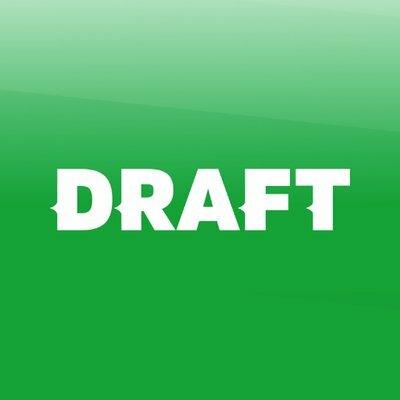 That’s what is unique about Draft - you can plan your own side around attributes that you value in football. Because there’s more to point-scoring here than just goals and assists. To score points against your fellow league members you must pick players who you think will reach the highest level of stats for 18 different attributes. Passing, playing minutes, successful tackles and shots on goal are just a number of ways your player can score points and send your team to the top of the league. You can create two types of leagues when you’re joining Draft - public leagues or private leagues. Private leagues mean you invite friends, whereas public leagues can be created for other managers to join themselves. A time is set for the draft to take place, and each member joins in. There’s a time-limit on how long each manager can take to pick a player, and you can also auto-pick different player picks before your turn in case you need to step away from the draft. It’s that simple. Current users love the format, many of which are new to it. Other, more experienced managers are taking their time, honing their setup and picking unseen gems. How will you choose? Hidden gem, or statistics superstar? Join Draft, and give both a go today. It was an FPL week to forget for pretty much anyone who didn’t own the likes of Bailly, Pogba... and the irrepressible Marcus Alonso. Those who stumped up for the game’s most expensive defender were richly rewarded, while the rest of us were left to quietly seethe and mumble something about how Alex Sandro arriving from Juventus. It’s still early days of course, and seasoned FPL veterans will know that ranks count for absolutely nothing at this stage of the season. That said, some of the underperforming big-money players are facing the chop - with Harry Kane (TOT, 12.5) and Kevin De Bruyne (MCI, 10.0) now firmly in their owners’ crosshairs. Is it time to dump Kane and KDB? 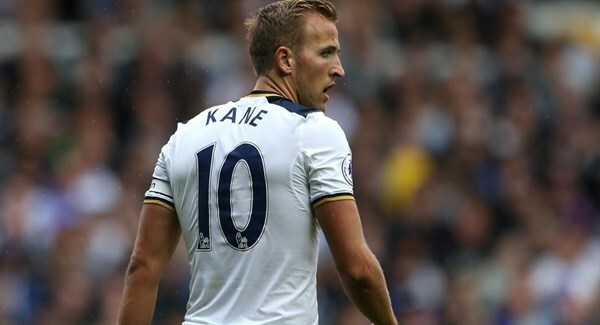 It’s hard to fathom how a reliable 20+ goals-a-season striker and current golden boot holder could have such a problem scoring early in the season, but it’s an affliction Harry Kane just can't seem to shake off. We can dismiss notions of curses and whatnot, but footballers can be a notoriously superstitious bunch, and the added pressure brought about by these statistical quirks start to become self-fulfilling in nature. A stalemate welcomed in the new Premier League season at St Mary's Stadium as the Saints and Swansea struggled to find any goal-scoring prowess: a rather exciting yet tedious 90 minutes of football where only two shots on target were registered. Southampton have now gone 545 minutes without a goal at St Mary's, a run which began back in April. Yet, after 90 seconds when striker Gabbiadini fizzled his header against the woodwork, this unfortunate stat looked to be coming to an end, 28 attempts on goal followed Gabbiadini’s effort. Here is WFC_17’s wrap-up of the EPL transfer window, with the major and key transfer activities for each club so far, highlighting where players have come from, their position, some key stats and the FPL Potential Rating for each player. An in depth analysis is presented for players with high FPL potential, that should be considered for team selections. Players will continually be added to the list as more transfers occur before the window closes and the season begins. Bags of quality in front of goal. A big price tag from the recent transfer will not diminish the Frenchman’s scoring feats. 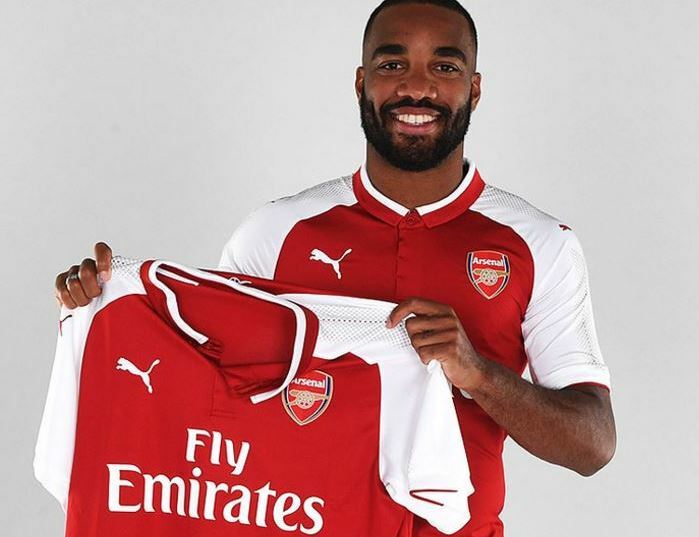 Having on average for the last 3 Ligue 1 seasons – 2.85 shots on target per game and an outstanding 1.76 successful take-ons per game over the same period, Lacazette will benefit majorly from the service of Mesut Özil and Aaron Ramsey. This benefit will move onto FPL mangers who will see big points return tallies should they own the £10.5 striker. An Arsenal goal explosion could occur if both Lacazette and Alexis Sánchez compete with each other for golden boot honours. 14 goals, 6 assists and a shot frequency of 1 every 27.55 minutes last season in the Championship. With 4 goals already in pre season, Ince is one who could well outperform his price tag this season. Coming off the back of 14 goals and 3 assists with an average of 3 shots per game for Montpellier in the Ligue 1 last season, Mounie has carried this form over to his new club, with 3 pre season goals. Dominant in the air and holding the ball up for teammates, Mounie is one to look out for this season. Huddersfield conceded 58 goals in the Championship last season, only keeping 13 clean sheets. That’s more goals conceded than relegated Wigan, and 18 more than the other two promoted clubs. Despite his 4 goals and 10 assists last season, his attacking output isn’t enough to make him an appealing FPL option at his price of £5.0. Was very good for Granada in La Liga two seasons ago, but couldn’t get much momentum in his first season in England. For a player with his attributes, it’s only a matter of time before he starts to bang in the goals regularly. An extremely attacking fullback, Janmaat registered a shot frequency of 1 every 62 minutes last season. His creative potential is highlighted by his 8 assists in the 2014/15 season. This bodes well for FPL points. Also, Watford underachieved in terms of clean sheets last season, but if they can be more resolute this season, Janmaat is one to consider. Although an astute signing by Marco Silva, Hughes is not a great FPL option. 8 goals and 14 assists in 134 career appearances is not what FPL managers are looking for. Furthermore, some believed Hughes would be deployed at attacking midfield for Watford, but Silva has used Capoue there in pre-season, meaning Hughes will probably be fielded in the double pivot. A proven FPL asset, with 17 goals, 13 assists and 26 bonus points in the past two seasons. Most impressively though, he had 15 clear cut goal scoring chances (those in which the player is expected to score) last season. This was not a off, as he managed 18 the season before. At his new club, it seems likely that Arnautovic will continue to thrive. In his past two seasons, he has managed similar returns to Arnautovic (17 goals, 15 assists and 20 bonus points). However, he has managed these returns in 1055 minutes less that the Austrian. Last season, Antonio registered a shot frequency of 1 every 31.6 minutes, which is very good. His clear cut chances stats are less impressive though, and he is injured to start the season. Following last year’s returns and stats, Snodgrass is very appealing at a price of only £6.0. This has seen him be picked up by 6.5% of FPL mangers. However, it is highly unlikely Snodgrass will start for the Hammers, with Lanzini, Arnautovic, Antonio, A.Ayew and Feghouli all appearing above him in the race for a starting spot in attack. According to reports, he may not even be a West Ham player come the end of the transfer window. An assured starter at left back, Bertrand is a key man for the Saints. With regular clean sheets likely, Bertrand’s potential is boosted by his attacking output, registering 2 goals and 5 assists last season. Gabbiadini started life at St Mary’s very brightly, with 4 goals in his first 3 games. However, he then went on a blanking spree, frustrating many FPL managers. Despite these bad memories though, Gabbiadini, who had a shot frequency of 1 every 26.8 minutes last season, has the potential to re-find his goal scoring touch this season and be among the league’s top scorers. His stats are always so good, but his final product is severely lacking. 3 goals and 7 assists in 30 starts last season are not good enough for a player of his quality. If he continues to be so wasteful in front of goal, and more of an ‘assister of the assister’ player, FPL manager should look elsewhere. The guy is a goal scorer. 34 goals in 34 games in all competitions last season shows this. It is also expected that he will take penalties for Arsenal. He may take a little bit of time to adjust to the pace and physicality of the Premier League, but expect Lacazette to be near the top of the golden boot race this season. Created on average 3 chances per start last season (11 assists). 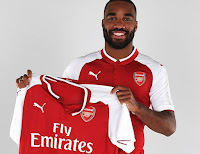 Having a more ruthless striker in Lacazette up front will boost his creative returns in FPL. When he plays, he’s one of the best box-to-box midfielders in the world. However, his poor injury record, Arsenal’s external competition commitments, and the fact that Wenger has a lot of other central midfielders at his disposal means that Ramsey will probably be rested quite often. Strategi utama saya dalam bermain FPL itu sangat sederhana, yaitu dengan menyempatkan diri untuk menonton pertandingan-pertandingan Premier League setiap minggunya. Terdengar klise, namun efek dari menonton pertandingan tidaklah sepele. Dengan menonton, saya dapat melihat pergerakan pemain secara keseluruhan sehingga saya dapat menganalisis dan memilah pemain mana yang dapat memberikan banyak poin, dan pemain mana yang mungkin tidak akan memberikan banyak poin. Jika memang tidak sempat menonton, paling tidak sempatkan menonton highlight pertandingan. Perbarui informasi tentang FPL sesering mungkin. Strategi ini juga krusial. Hanya dengan bermodal kuota internet, saya dapat menggali informasi sebanyak mungkin tentang FPL setiap harinya seperti tentang perkembangan cedera pemain dan kenaikan atau penurunan harga pemain dari berbagai sumber. Pada saat ini, sudah tidak sulit mencari sumber informasi untuk FPL di internet, baik yang berbahasa Inggris maupun berbahasa Indonesia. Sebisa mungkin jangan menggunakan point hits. Sebagaimana diketahui, point hits adalah minus poin yang diberlakukan jika kita melakukan transfer pemain melebihi jatah transfer yang diberikan kepada kita. Setiap satu kelebihan transfer diberikan minus 4 poin. Dengan menggunakan point hits, maka saya memberikan lawan saya keuntungan sebelum game week (GW) dimulai. Serta, pemain yang saya transfer untuk point hits tersebut paling tidak harus berkontribusi secara langsung untuk mengkompensasi minus 4 poin tersebut. Menurut saya, point hits hanya boleh dilakukan jika memang tim kalian mengalami badai cedera, jika kalian memang sangat yakin bahwa pemain yang kalian transfer dapat langsung memberikan banyak poin, atau jika transfer tersebut diprediksi akan memberikan keuntungan jangka panjang. Jangan terfokus pada harga tim. Musim lalu, saya melihat ada beberapa pemain FPL yang memfokuskan pada harga tim, bahkan hingga menggunakan banyak point hits. Namun sayangnya, saya tidak melihat jika harga tim berbanding lurus dengan ranking. Lagipula, jika melakukan transfer dengan tepat, maka harga tim akan naik dengan sendirinya. Gunakan chips pada waktu yang tepat. Mengingat jatah chips yang sangat terbatas, saya benar-benar menyimpan dan baru menggunakannya pada waktu yang tepat. Penggunaan chips dengan tepat sangat penting, terutama dimana saat saya melakukan second wildcard di GW 36 dan bench boost di GW 37 karena terbukti ranking dunia saya berhasil melompat cukup jauh dari ranking 1393 sebelum GW 36 dimulai menjadi ranking 192 setelah GW 37 selesai bergulir. Hati – hati dengan bandwagon. Masih ingat dengan Etienne Capoue di awal musim 16/17? Pemain ini sangat saya ragukan, namun terus mencetak gol di awal musim 16/17. Pada akhirnya, saya tergoda untuk memasukkan dia ke tim saya pada GW 6. Namun apa hasilnya? Begitu dia berada di tim saya, Capoue tidak pernah lagi sekonsisten sebelumnya. Pelajaran dari hal ini adalah dengan tidak langsung mempercayai bandwagon, karena jelas Capoue bukan Aguero atau Kane. Keuntungan bermain di kandang. Sebenarnya sudah bukan rahasia lagi jika tim yang bermain tandang akan cenderung lebih kesulitan jika dibandingkan tim yang bermain di kandang. Berdasarkan asumsi itu, seringkali saya menggunakan faktor tersebut dalam memilih pemain di tim saya ataupun dalam memilih kapten. Contoh terbaik pada musim lalu adalah Burnley yang sangat kokoh di kandang. Sudah tak terhitung berapa kali Tom Heaton memberikan poin clean sheet, poin saves hingga poin bonus terutama ketika ia bermain di kandang. Namun, jangan sesekali memilih pemain dari tim yang performanya secara keseluruhan memang sedang benar-benar buruk meskipun tim tersebut bermain di kandang. Jangan terburu-buru dalam melakukan transfer. Hal ini masih terkait dengan poin nomor 4 dimana banyak pemain FPL yang melakukan transfer terlalu awal untuk mengejar kenaikan harga pemain. Saya seringkali melakukan transfer sejam sebelum deadline setelah saya memastikan bahwa sebelas pemain saya siap bermain (terbebas dari cedera dan hukuman). Tips dari saya adalah pantau konferensi pers dari manajer sebelum pertandingan, dimana biasanya mereka memberikan banyak informasi mengenai pemain yang cedera hingga starting line-up. Moto terbaik yang saya temukan di internet mengenai FPL adalah bahwa FPL itu adalah lomba marathon, bukan lomba sprint. Maka karena itu, tidak perlu panik jika mengalami GW yang buruk atau awal musim yang buruk karena yang benar-benar dinilai adalah ranking kalian setelah musim berakhir. Adaptif. Memiliki prinsip atau cara bermain sendiri dalam bermain FPL tentu penting, namun harus dicatat bahwa musim ini dapat berbeda dari musim lalu, dan musim depan dapat berbeda dari musim ini. Karena itu, jangan takut dengan perubahan. Jika pada musim-musim sebelumnya formasi 3-4-3 atau 3-5-2 jamak digunakan, tidaklah tidak mungkin jika formasi empat bek akan lebih menuai kesuksesan pada musim 17/18. My main strategy in playing FPL is very simple, that is by taking the time to watch Premier League matches every week. Sounds cliche, but the effect of watching the game is not trivial. By watching, I can see the movement of the player as a whole so I can analyze and sort out which players can give a lot of points, and which players might not give me many points. If it does not have time to watch, at least a time to watch the highlight of the match. Keep up-to-dat with information about FPL as often as possible. This strategy is also crucial. I searched information about FPL players almost every day from injuries to the potential increase or decrease in FPL player prices from various sources. Nowadays, it is not difficult to find sources of information for FPL on the internet. Avoid excessive points hits' as much as possible. As is known, point hits are minus points that apply if we transfer players beyond the transfer allowance given to us. Every single non-free transfer costs 4 points. By using point hits a lot, you're effectively giving opponents a profit before the game week (GW) begins. Also, the player transferred in for that point hits must at score big to compensate for the minus 4 points. I think the point hits should only be done if your team is having an injury crisis, if you are very confident that the player you are transferring can directly give you a lot of points, or if the transfer is predicted to provide long-term benefits. Do not focus on team pricing. Last season, I noticed there were some FPL players who focused on team pricing, even using a lot of point hits. But unfortunately, I do not see if the price of the team is directly proportional to the ranking. After all, if doing the right transfer, then the team price will go up by itself. Use chips at the right time. Given the very limited quota of chips, I actually save and just use them at the right time. Proper use of chips is very important, i.e. I used the second wildcard in GW 36 and bench boost in GW 37 which helped my OR jump from 1393th before GW 36 to 192nd after GW 37. Be careful with bandwagons. Remember Etienne Capoue at the start of the 16/17 season? I doubted his long-term ability but finally bought him after GW 6. But what was the result? Once he was in my team Capoue's consistency stopped. The lesson of this is to be cautious of bandwagons, as in the example above Capoue was not Aguero or Kane. The advantage of playing at home is powerful. Actually it is no secret if the team who is playing away will find it harder to win. Based on that assumption, I often use that factor in choosing players on my team or in selecting captains. The best example of last season was a very solid Burnley at home. There were countless times Tom Heaton provided clean sheet points and points saves which helped create bonus points, especially when he is playing at home. Do not rush to transfer. It is still linked to point number 4 where many FPL players are transferring too early to pursue the player price increase. I often transfer just before the deadline.